In the mountains of Sulis, the area around Jakobsbakken Mountain Resort, there are unique opportunities for mountain hiking and extreme summit trips, both summer, and winter. Here you will find several of Northern Norway’s highest mountains, Norway’s highest border mountain, some of Scandinavia’s largest glaciers and panoramic views of the whole of Salten and several national parks. This is one of the most beautiful summits in Salten. 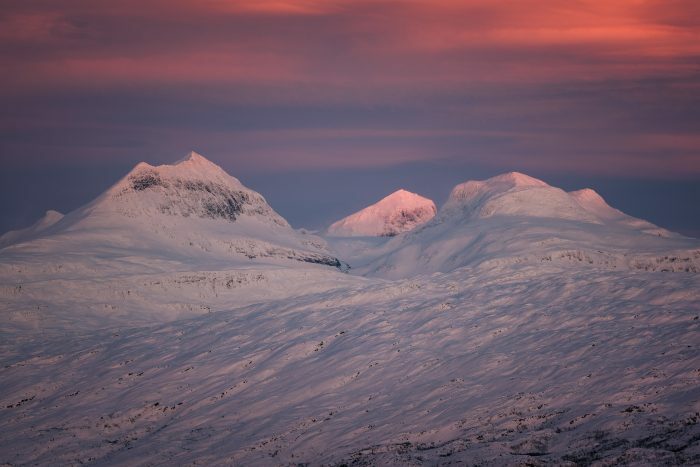 Nord-Saulo is Norway’s highest border mountain and is towering high in the terrain seen from Jakobsbakken Mountain Resort. 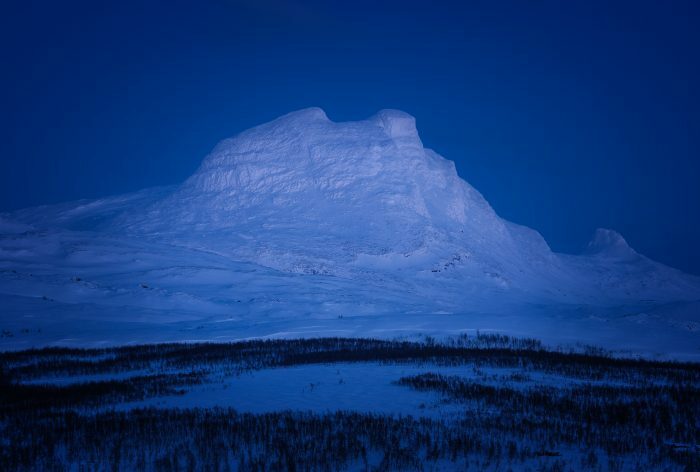 The mountain lies on the border between Saltdal Municipality in Norway and Arjeplog Municipality in Sweden. The trip is best suited in late summer, but one can also go with randone ski up to the summit in winter. The trip starts from Tjorvi, or from the path to Dorro which is on the way in towards Tjorvi. In the summer you can drive a car all the way to Tjorvi, while in the winter you can go skiing along the beautiful ski slopes into Tjorvi. From Tjorvihytten you start by following the path from Tjorvihytten towards Mavas. After about 2.5 kilometers, take off from the path and head towards Saulotjønna. On the map Saulotjønnene is clearly shown. Walk on the east side of Saulotjønna north a bit, until you follow a marked terrain up between the “humps”. Since Nord-Saulo consists of two peaks, you can climb from one to another when you´re at the top. At the top, it opens up a view that one can hardly compete within the Salten area. Here you can look north towards the mountains of Sulitjelma, including Blåmannsisen, Vardetoppen, Stortoppen, and Suliskongen. You also see far towards inland Sweden and towards the peaks around Beiarn and Svartisen. If you want an airy experience, the Vardetoppen and Stortoppen can be a wonderful hiking trip. The trip is a little heavy, as you walk a lot in rough terrain, but when you reach the top the reward is great. From the Jakobsbakken Mountain Resort, the peaks are easily recognizable as they towering in the terrain when looking out of the living room window from the Resort. In summer and autumn, you can drive a car to the Church of Sulitjelma and follow the road up to Ny-Sulitjelma, all the way to a small house by a small lake. Now you are up at about 800 meters above sea level. Follow the tourist trail for about 10 minutes. From here, you aim at the top. Keep the course in the middle of the mountain. When you get to Vardetoppen you get a beautiful view, among other things about Norway’s 5th and 10th largest glaciers, Blåmannsisen and Sulitjelmabreen. Vardetoppen and Stortoppen are bound together by a 700 meter long and narrow, and very airy egg. If you have a guide on your trip, this is a spectacular trip. It takes about 1.5 hours to walk back and forth to cross the edge of Stortoppen. 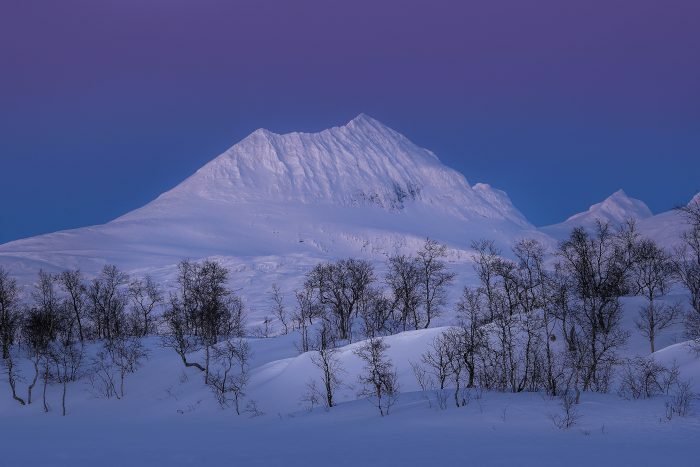 The Suliskongen is Norway’s highest mountain north of the Arctic Circle and Northern Norway’s second highest mountain, only beaten by the Oksskolten in Hemnes with barely 8 meters. From Ny-Sulitjelma it is required 8-9 hours of skiing. On the trip, two glacier falls and the large, flat Sulitjelmabreen must be crossed. 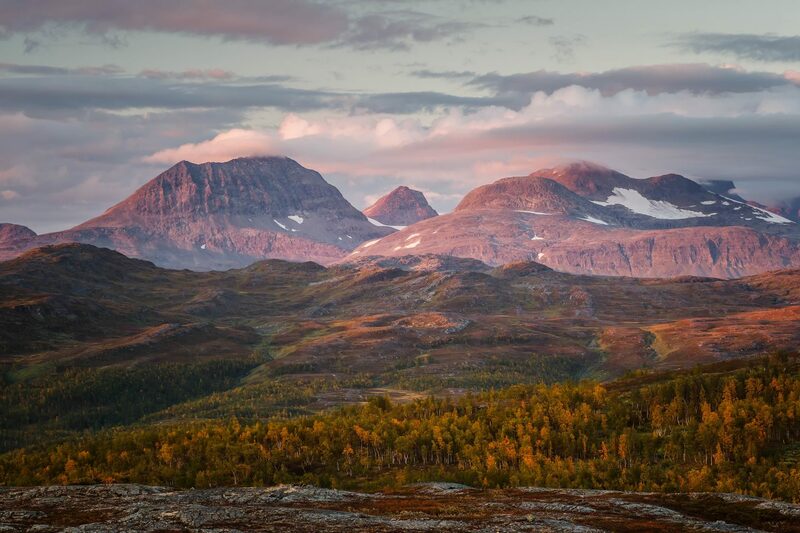 These glaciers are among Scandinavia’s largest glaciers. From the top, you have a spectacular view of Salten and the three large Swedish national parks Stora Sjøfallet, Padjelanta and Sarek. From Ny-Sulitjelma the trip goes up the mountains towards Sulitjelmabreen. Entering the first glacier is a relatively straightforward ski trip with glorious views to the surrounding peaks. At Sulitjelmabreen, the landscape opens up and you continue from the glacier and over to the foot of the mountain. From the glacier to the foot it is about 3 km and then there remains just over 500 meters up to the top. From the foot, the route goes straight up to the top. The trip to Suliskongen is a spectacular trip to bring randone ski in the spring. At the top, you get a beautiful view towards Bodø, Rago national park, the mountains of Sulitjelma and inland Sweden. Fun fact: Suliskongen is in the legend of “The Seven Sisters”. In this legend, the Suliskongen is the father of the seven sisters (a chain of mountain peaks located on the Helgeland coast).